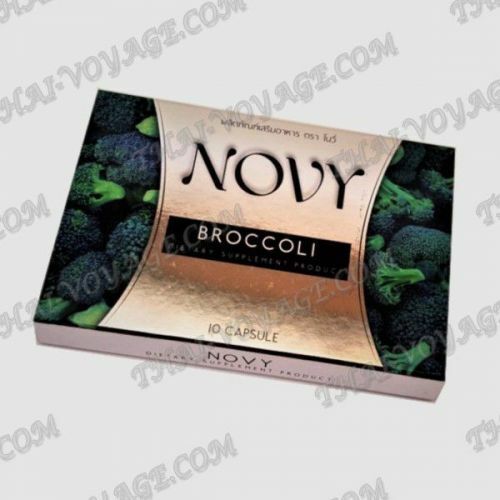 Capsules for weight loss Novy-completely natural, so effective and safe. Slimming capsules block the feeling of hunger, not completely, but enough to make you eat less. Clean the stomach and intestines of toxins, toxins, break down fats. With Novy capsules it is possible to create a beautiful, attention-grabbing body without hard diets and intense exercise! All of the above substances are in the form of an extract. We should also focus on capsaicin. It is scientifically proven that capsaicin: destroys fat cells; promotes the beginning of the process of oxidation of fats; binds to cholesterol (the reason for the so-called plaques on the inner walls of blood vessels, which, in turn, lead to heart attacks and strokes) and displays it; accelerates metabolism, that is, metabolism; reduces appetite. Application: 1 capsule once a day, preferably in the morning. Drink water at room temperature in a volume of 100-150 ml (half a standard glass). Do not replace water with juice, tea, coffee or other beverages, as they reduce the effectiveness of the product. Before using capsules for weight loss be sure to consult with a specialist. Yes, they are natural and safe, but you may be allergic to one or more ingredients. In case of individual intolerance reception is prohibited. In no case do not exceed the dose. So you will not achieve a faster result, but only harm your health. The package contains 10 capsules.